Wander into the bohemian neighborhood of San Telmo in Buenos Aires on a Sunday and find their market in full swing. It’s a quirky, fun market filled with knick-knacks and paddywhacks, foodstalls and winebars, antiques and entertainment. A must see if you’re heading that way. Love the street performances, music, and artists of all types doing their thing on the streets of San Telmo. 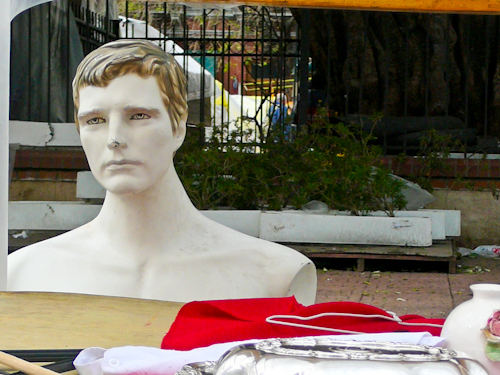 Plaza Dorrego is a place if you want to admire antiques from jewelry to tango records. I haggled with an antique vendor for a silver bracelet. It’s a bit pricey but then it’s okay because I adore wearing it.